How do I invite new students to my class? Once you’ve created your class, you’re ready to invite your students! You can do this by sharing either your class code or a direct class link with them. If you use Google Classroom, you can also import your students directly from Google Classroom. Note: Scroll down to the "Importing new students from Google Classroom" of this article if you're using Google Classroom. 2. Select the class you'd like to invite your students to. 3. Click on the "Students" tab and then the blue “Invite students” button. Note: If you can’t find your class code and you’re missing the blue “Invite students” button, you already connected your class to Google Classroom. When you connect your Google Classroom to Edpuzzle, the roster is automatically imported. However, once a classroom has been connected to Google Classroom, the only way to add more students is to add the students to the Google Classroom course and then import them to Edpuzzle. 1. 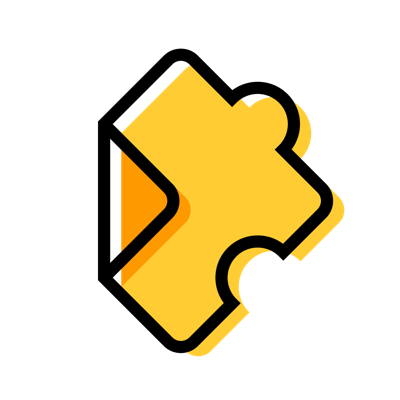 Check your Google Classroom to make sure the student is on the roster for the same Google Classroom connected class to Edpuzzle. If not, you'll need to add them to the Google Classroom before proceeding. 2. In Edpuzzle, click the "My Classes" tab at the top right. 3. Select the class you've connected to Google Classroom. 4. Click the "Students tab" and on the right-hand side, you'll see the "Import students" button. Click it, and you're ready to go! Any new students who joined the Google Classroom course after it was originally imported will be enrolled in the Edpuzzle classroom. The student will have to log in to Edpuzzle with their Google Classroom account and be on the Google Classroom roster as well. Engage the parents. Assign videos to watch at home and let parents manage the students’ accounts. We've seen a significant impact on student learning and behavior in class when teachers use this technique. Parents are also more aligned with the teacher, and students understand the lessons better. Easy usernames. Edpuzzle students can create accounts with a username and password – they don't need an email to sign up. With students who might struggle to memorize these, we recommend using simple login information, like something fun, memorable, and secure for your students! Watch the video together. Having five minutes to watch a lesson and answer questions together is a great way to use Edpuzzle. With this technique, there's no need to create accounts and the students can stop and answer questions in teams or individually.